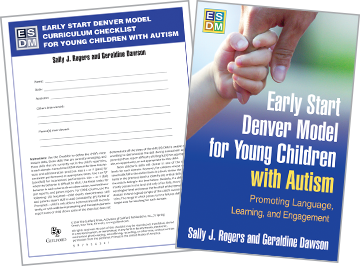 From leading authorities, this state-of-the-art manual presents the Early Start Denver Model (ESDM), the first comprehensive, empirically tested intervention specifically designed for toddlers and preschoolers with autism spectrum disorder. Supported by the principles of developmental psychology and applied behavior analysis, ESDM’s intensive teaching interventions are delivered within play-based, relationship-focused routines. The manual provides structured, hands-on strategies for working with very young children in individual and group settings to promote development in such key domains as imitation; communication; social, cognitive, and motor skills; adaptive behavior; and play. 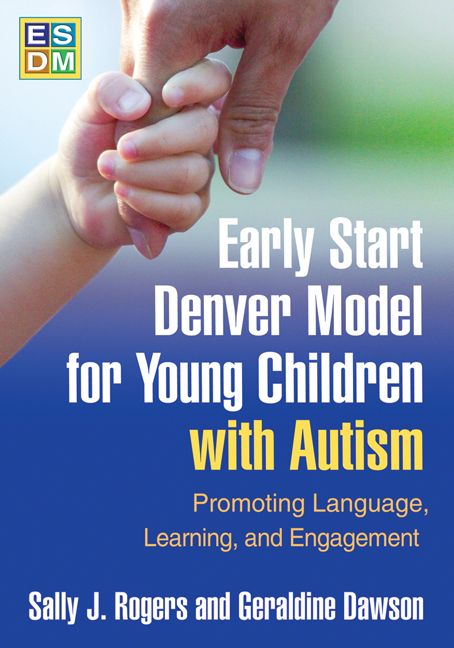 Implementing individualized treatment plans for each child requires the use of an assessment tool, the Early Start Denver Model Curriculum Checklist for Young Children with Autism. A nonreproducible checklist is included in the manual for reference, along with instructions for use; 8½" x 11" checklists are sold separately in sets of 15 ready-to-use booklets. See also the authors' related parent guide, An Early Start for Your Child with Autism.